Standard Stationery-Type 1in. x 2in. 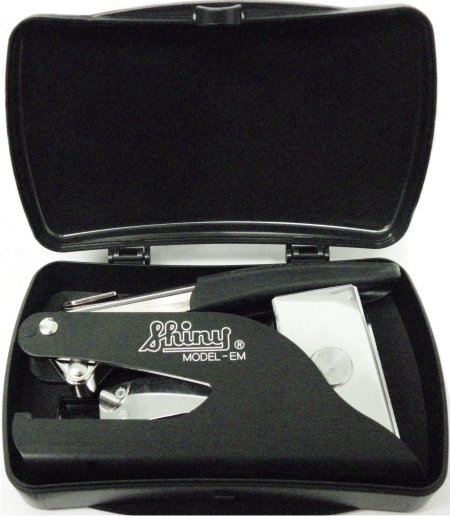 POCKET Embosser with compact clamshell storage case. Our latest Shiny brand Stationery-Type 1in. x 2in. 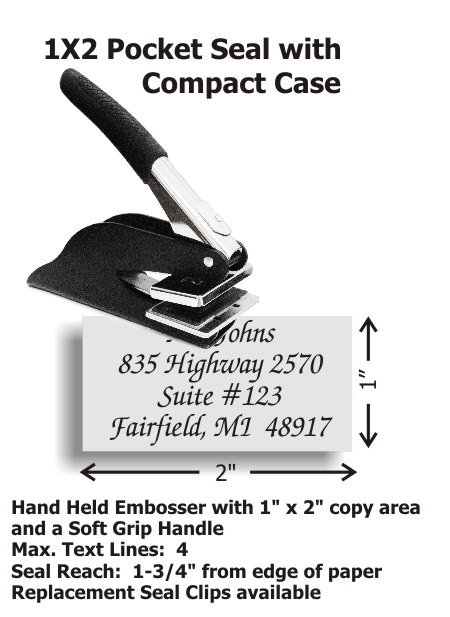 POCKET Embosser with a compact clamshell storage case included. Standard throat allows for an impression reach up to 1-3/4in. from edge of paper.